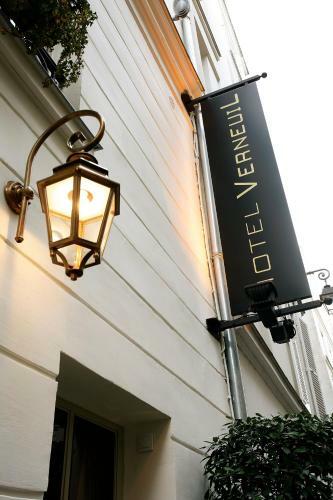 Hotel Verneuil is located in a quiet street in the Saint Germain des Prés district of Paris. It offers finely decorated, comfortable guest rooms. 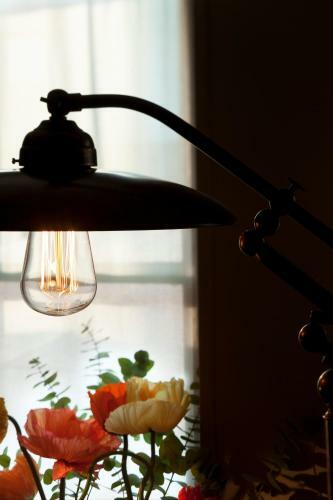 All of the air-conditioned rooms are equipped with a TV and free Wi-Fi access. The bathrooms include a hairdryer and free toiletries. A telephone with free calls is provided. A buffet breakfast is served each morning in the vaulted cellar and can be delivered to your room. Hotel Verneuil is within walking distance to the River Seine, Notre Dame Cathedral and the Louvre Museum. A portable hotspot for wireless internet access is available for rent at the reception for € 10 per day. This air-conditioned room includes a flat-screen TV with satellite channels, a safety deposit box and a minibar. Free Wi-Fi access is provided. Rate: € 171.00 ... € 398.00; select dates below to get current rates. This larger room includes a flat-screen TV with satellite channels, a safety deposit box and a minibar. Free Wi-Fi access is provided. Rate: € 190.60 ... € 373.00; select dates below to get current rates.